Good morning everyone! Yes, I am still around. I know I've taken a longer than usual break. Busy holidays. 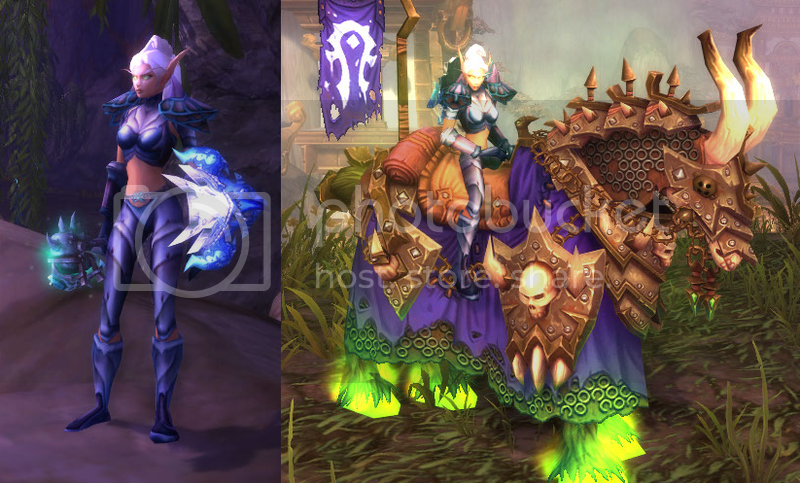 Plus I've been doing a little real life transmogging so to speak. Christmas was spent at my mother's helping my brother design a new logo and some tee shirts for his developing surfboard company. Also been putting together a set of Western Pleasure show outfits for horse shows this upcoming year. 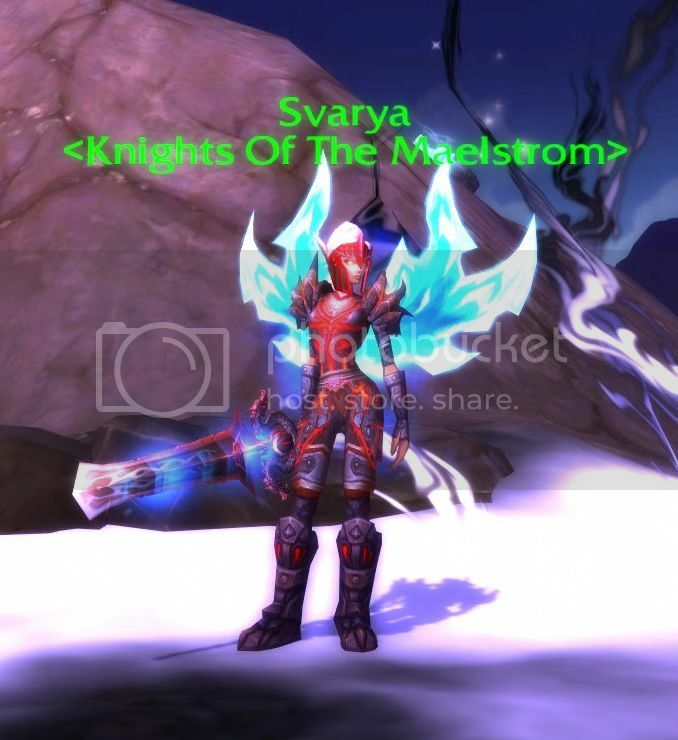 As far as in game transmogging goes, I've done more with alts than my plate wearers recently. I have not quite finished my green set for Greatsword of Pride's Fall, although I have finally selected all the peices I want. There were a few that were toss ups. I put my black and gold set on hold when my guildie cried out in anguish that it was too close to his set. And I have been distracted by putting together a white set to match my legendary cloak. There are few irons in the fire over here so hopefully I'll get the furnace going again this week and heat up a few posts. Happy transmogging all. I'm looking forward to a great year and hope you are as well.